Is Brazil Helping China Train Carrier Pilots? As the discussion fades over China’s first aircraft carrier, it is worth diving into exactly how China is building its carrier force. As much as China’s politicians and many of China’s people might want to think that the Navy’s renewal is an entirely homegrown project, in reality China is drawing from sources around the world to cobble together its naval aviation arm. The Liaoning itself is, of course, the former Varyag, a Soviet-designed Admiral Kuznetzov class “aircraft-carrying heavy cruiser” around half the size of a U.S. Nimitz-class aircraft carrier. China purchased four carriers – the ex HMAS Melbourne from Australia, and the Varyag, Minsk, and Kiev from the republics of the former Soviet Union. As IPRIS expert Kai Thaler notes, the ships were purchased to introduce aircraft carrier construction and engineering to China’s navy and her shipyards as a part of China’s longstanding plans to build a carrier. But Thaler’s revelations go further. More than just drawing from foreign sources for hardware, China had also signed an agreement with Brazil to have that country’s navy help train Chinese carrier aviators. The question is what this signals in terms of the Brazil-China relationship. While much attention has been focused on China’s relationships with pariah western hemisphere states like Cuba and Venezuela, the relationship between Brasilia and Beijing clearly deserves further attention as both countries gain in global influence. Who Started It, Hitler or Stalin? Following our review of a small library about Russia’s fight against Germany in World War II, a reader introduced to me Victor Suvorov’s provocativeIcebreaker: Who Started the Second World War? 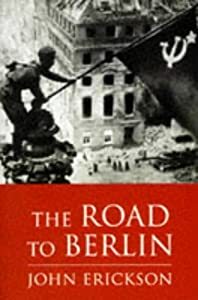 In this book, the author debunks the accepted idea that Hitler was the primary instigator of the war, suggesting instead that it was mostly Stalin’s fault.